In an attempt to prevent the chaos of the immigrant border surge that occurred in the summer of 2014, Department of Homeland Security officials are securing various locations to temporarily house Unaccompanied Alien Children (UAC) and family units from Central America. As a result of that effort, U.S. Defense Secretary Ash Carter has directed Holloman Air Force Base in Alamogordo, New Mexico to house up to 400 children starting in January. According to the Associated Press, the children are currently in the care of the Department of Health and Human Services’ (HHS) Administration for Children and Families. The protocol is for these children to remain in this holding pattern until a family member in the U.S. can be located for their release. If no family member can be located, the children are placed in the foster care system. Alamogordo Chamber of Commerce President Mike Espiritu told the AP that health department officials have already visited Holloman to see if the site could work. I’ll be the contact on this perspective. I’ll be working directly with HHS and Holloman and help them connect the dots with the things they need to take care of these young people. We’ll be meeting with Holloman next week, and hopefully we’ll have more information that we can provide to the public. 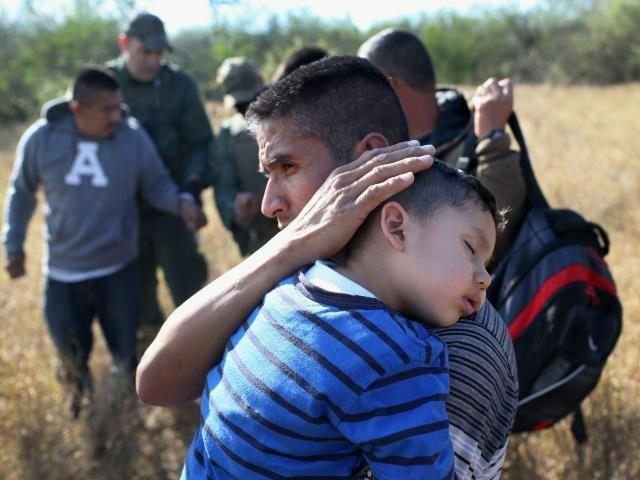 Just like during the surge of 2014, the children who will be arriving at Holloman AFB come mostly from the violence and poverty-plagued countries of El Salvador, Guatemala, and Honduras. Espiritu said they had been immunized and medically screened for possible diseases, and that they will be housed in a vacant building that was used by the 4th Space Surveillance Squadron. Espiritu is hoping the Alamogordo and base communities will support the effort. Although the base will be providing the facility, the report did not mention what federal agency would be funding their care. The report also made no mention of the reaction of the New Mexico governor or other state officials to the HHS measure. Sylvia Longmire is a service-disabled veteran, border security expert, and Contributing Editor for Breitbart Texas. You can read more about cross-border issues in her latest book, Border Insecurity: Why Big Money, Fences, and Drones Aren’t Making Us Safer.